Basilar invagination: There is infolding of the skull base. The upper cervical spine may protrude into the posterior fossa. 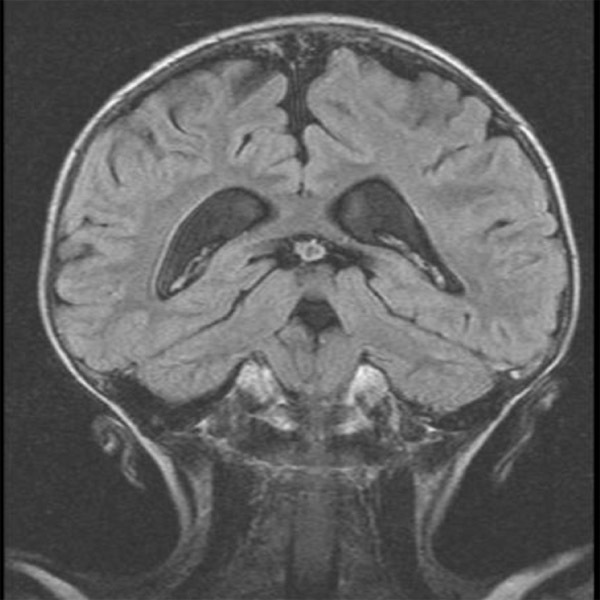 T2-weighted sagittal MRI of basilar invagination: This MRI taken of a child with osteogenesis imperfecta shows severe basilar invagination with compression of the brainstem. 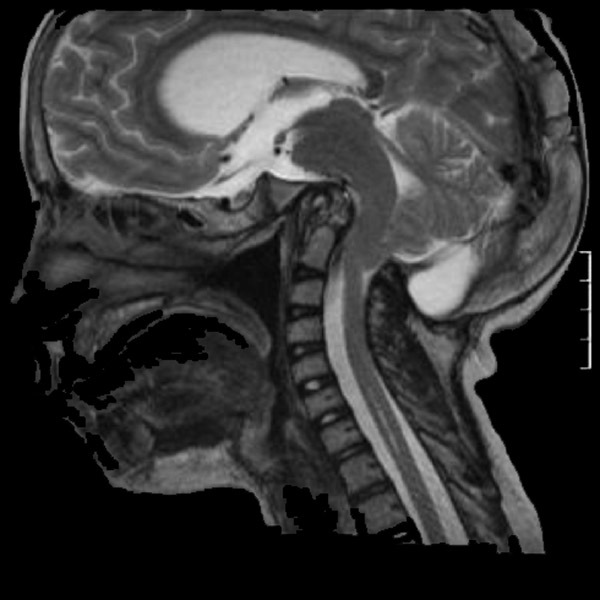 FLAIR coronal MRI showing basilar invagination: This MRI shows basilar invagination occuring in a child with osteogenesis imperfecta. Note the upward migration of the of the C1 ring displacing the posterior fossa contents.